Apple continued to see strong worldwide sales across its MacBook line-up in the third quarter of 2017. During a recent earnings call, CEO Tim Cook revealed that Apple’s Mac division set a new all-time revenue record of $25.8 billion for 2017. Apple sold 5.4 million Macs during the September quarter, up 10 percent over last year, and gained significant market share. When the whole world is crazy about the Mac, why shouldn’t you have one? Is the high pricing of Mac making you hesitant? Then why not try the refurbished Apple MacBook. Looks and working of refurbished Mac: Refurbished goods are the products which are returned for some reason or used as display models, which are checked for faults and the parts are replaced if they don’t meet Apple’s quality standards. Refurbished Mac is 100% functional and it works exactly the same way as any new Mac. The look and feel of a refurbished Mac is exactly the same as a new MacBook. Once you have a refurbished Mac no one can even guess that it was once used before it was bought because the Mac will go through many testing and cleaning processes which makes it look exactly like a brand new MacBook. Refurbished MacBook is tested: One may think that once the Mac is fixed it wouldn’t go through the testing process once again, this is false. Though the Mac is refurbished it again goes through two levels of testing to make sure the Mac is in absolutely perfect working condition. Apple’s quality standards are very high and if a Mac is faulty, it would not pass through both the levels, even if it passes through the first level it will definitely be detected in the second level. So that finally when the Mac is ready it is as good as a brand new Mac. All the previous data will be erased: When any product is being refurbished all the internal data (hard drives) will be wiped off. This means that you will not be acquainted with any of the previous user’s messages or photos or personal data. You will be having a completely fresh hard drive ready for use. A new OS will be ready for the setup: As the hard drives are completely cleaned the OS will be re-installed, this means that when you get a refurbished Mac it will be having a clean copy of the mac OS. Basically, the software is ready for you as it would be in a brand new model. You will be able to set your Apple device up as new, or possibly restore from a backup of your previous device. Warranty on refurbished MacBook: A refurbished Mac or MacBook comes with the same one-year warranty (extendable to three years with AppleCare protection.) You also get the same sales and return procedure with Apple, and can return a Mac bought from the Refurbished Store within 14 days if you’re not happy with it, but note you’ll have to post it back, as Apple will not accept returns to a physical Apple Store on refurbished products. Reduced cost of refurbished Mac: The cost of any refurbished electronic device is subjected to a discount of 10 to 80% of the original price of the device. The price for refurbished Macs changes frequently but is typically 10 to 20 percent less than the original price. With Macs commanding a high retail price this can make quite a difference to your wallet. 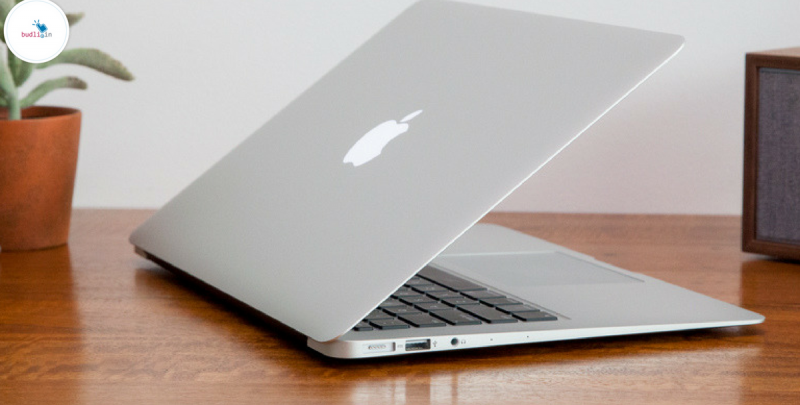 Thankfully, we at budli.in have a wide range of refurbished MacBooks for those who are looking for a budget-friendly device and which works exactly like a new one.If you are someone who is thinking of buying a new laptop then you need to check out our online refurbished marketplace at budli.in. Refurbished products are the solution to your needs and if you want to own one then we will help you find the best device for you.